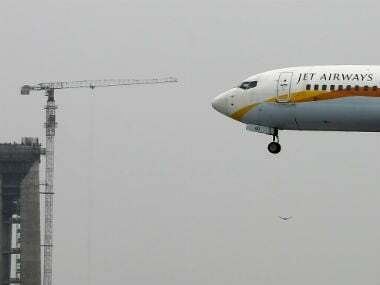 Amid the uncertainty over the release of emergency funding to ailing Jet Airways, a consortium of lenders reportedly picked four firms including Etihad Airways and National Investment and Infrastructure Fund (NIIF) to place bids for acquiring a majority stake in the airline, said a media report. According to Mint, Etihad Airways, India’s first sovereign wealth fund NIIF and private equity firms TPG Capital as well as Indigo Partners were shortlisted on Monday to place binding bids for Jet Airways. The shortlisted bidders will conduct independent due diligence of the airline, said the report quoting a person aware of the development adding there was a possibility that Etihad, TPG Capital and NIIF might form a consortium to jointly bid for the airline at a later stage. Meanwhile, a State Bank of India (SBI) spokesperson said that the prospective bidders would be shortlisted by SBI Caps soon. 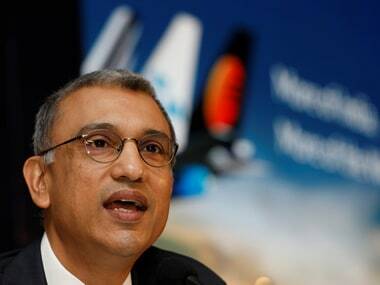 The spokesperson said that the bid process for the sale of equity in Jet Airways is currently being run by SBI Caps. The SBI is acting on behalf of the group of lenders as part of the bank-led resolution process for the debt-laden Jet Airways. Necessary support to facilitate the process is being extended by other banks in the consortium. Jet Airways' survival remained under serious threat after its lenders on Monday deferred a much-anticipated decision to provide emergency funds to the carrier following a marathon meeting, even as its pilots' union appealed to the lenders and the prime minister to save the airline, reported PTI. Jet Airways on Monday said its services on overseas routes will remain grounded until 18 April, even as the lenders failed to take a call on extending an emergency funding to the airline. This is the third time that airline has extended the suspension of these flights, which was first announced for last Thursday.